If you are wondering what to eat to improve eye health, this is the book for you. 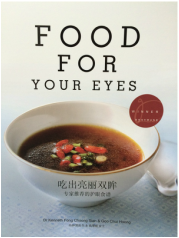 This is a bilingual (English-Chinese) self-help recipe book which gives pointers on how to eat healthy for your eyes especially to prevent age-related macular degeneration. Do pick up a copy of this book today! Now available as ebook too!